Viezu Dealer Training and Support – Dealer Seminars 2012. 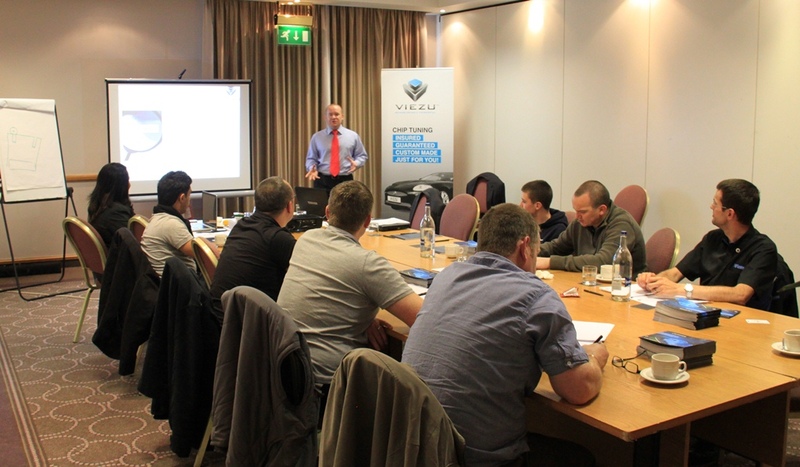 Thursday saw the most recent of our dealer seminars, this year rather than one large seminar for all Viezu dealers, we have chosen to hold smaller group sessions, taking the format of workshops rather than formal presentations, the sessions focus on support, sales, product presentation, marketing and very importantly fleet tuning and B2B customers. We had a good day with some of our best dealers, we often feel tuning can be quite a “remote” business, so it’s always so good to meet our dealers and for them to meet each other to share ideas and work together. We treat tuning very seriously, and we know car tuning dealers need the very best support, the best tuning tools and equipment and to be up to speed with the very fast paced tuning industry – we love these days and we hope all that attended had a great time. Viezu offer ecu remapping and car tuning services worldwide as well as ecu tuning on all makes and models of vehicle. Find your local Viezu car tuning dealer at viezu/dealer-map You can see more information on ecu remapping and car tuning with Viezu here: become-a-dealer with Viezu – We never settle for second place!